If you missed Hillcrest's JS banquet grand march, you can watch it any time you'd like at the LiveStream Archive>> Is this email not displaying correctly? 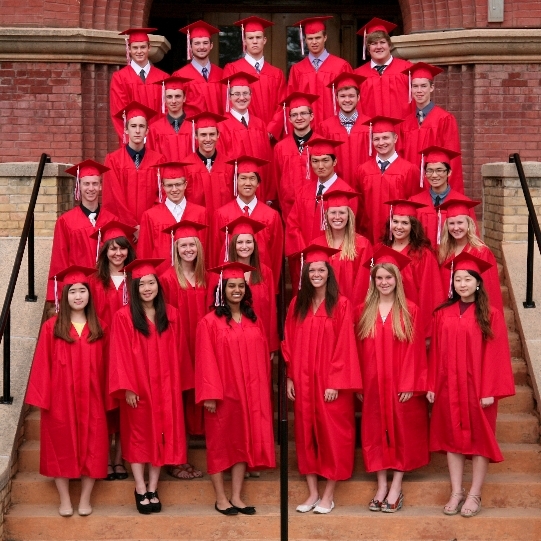 Hillcrest's graduation festivities are live streamed on the LiveStream Events Page. To watch select events from the weekend live, visit www.ffhillcrest.org/livestream. This week a family asked Promotions Director Wayne Stender about how the International population has grown at Hillcrest. The question was centered in an observation that Hillcrest has a diverse student body. His excitement to answer this question is rooted in the mission of the school; believing Hillcrest's diversity unifies students, and is part of God's redeeming work from the Tower of Babel to Pentecost. With graduation around the corner a number of students will receive gift cards from supportive relatives and friends. We want to encourage you to consider purchasing those gift cards, and organizing your everyday spending, to support Hillcrest through Scrip. Scrip is a fundraising option Hillcrest is employing to support families paying tuition. Scrip is basically gift certificates from national and local retailers. They’re the same gift certificates that you buy at the store. Many popular retailers participate in our scrip program including JCPenney, The Gap, Shell, Pizza Hut, Red Lobster and many, many others. The beauty of scrip is that you put your regular household shopping dollars to work. You earn money for Hillcrest without spending a single additional penny. Just spend your regular shopping dollars with scrip at the stores that participate in thescrip program! And SCRIP can be used for just about any household purchase including food, clothing, entertainment, gasoline and even dining out. The funds raised through the SCRIP program go back into supporting families with tuition. Revenue created with SCRIP supports scholarships for your family, along with supporting Hillcrest. Families may participate in the scrips gift card program by visiting www.shopwithscrips.com to sign-up. In creating your account use Hillcrest's code: 83AFA3C735588. The cards may be ordered online or through Hillcrest's volunteer coordinator. To inquire for more information please contact Wayne Stender (218.737.6408 | wstender@ffhillcrest.org). In the fall of 1991, Dave Strom started teaching at Hillcrest Lutheran Academy. Twenty-three years ago he stepped into the classroom for the first time as the choir director. Now, Mr. Strom is pursuing pastoral leadership. Throughout his years at Hillcrest, Mr. Strom has led the choir from coast to coast. He has created a legacy of professionalism in the fine arts that is a hallmark of Hillcrest Academy’s Music Department. Hillcrest's graduation is a memorable time for students, but it is also memorable for alumni, friends and family. While we hope all will attend the events during graduation, we understand the challenges with travel and schedules at this time of the year. With this in mind, we LiveStream our graduation ceremonies. Friends and family may view online the Senior Class Night on Saturday, May 24 at 7pm and the Commencement Ceremony on Sunday, May 25 at 10am. The spring sports calendar is nearing the end, with tournaments and section meets coming up for the competitive athletics program at HLA. To view the schedule of events, please visit our Athletics Page>>. Finals Week begins Monday, May 19th, with Tuesday, Wednesday and Thursday half-days. As graduation closes the 2013-14 school year, football camp opens the 2014-15 session. The camp is slated for June 1-3.